Women experiencing domestic violence are more likely to be in contact with general practice than with other agencies. 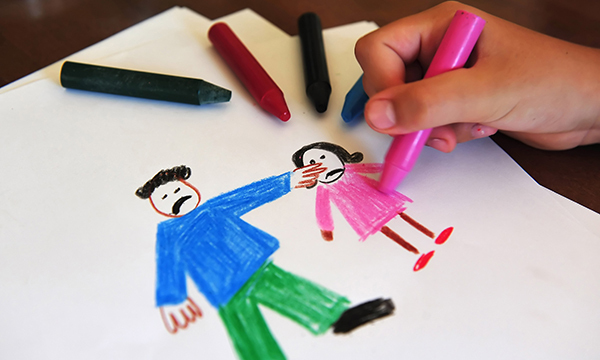 a systematic review of interventions intended to improve professionals' response to disclosure of domestic violence in families with children. a review of the content of training materials on domestic violence intended for general practice professionals. qualitative semi-structured telephone interviews with 69 general practice professionals (clinical and non-clinical staff). a consensus process focusing on contentions or ambiguous areas of practice. General practitioners and practice nurses were found to have limited understanding of multi-agency work, with difficulties in gauging thresholds to initiate child protection referrals. While child safety was important, clinicians often did not directly respond to the child – rather focusing on the adults. There was also found to be confusion about the recording of domestic violence cases in medical records. The researchers concluded that general practice clinical staff need more support in managing the complexity of domestic violence and designed the pilot training accordingly. Szilassy E, Drinkwater J, Hester M et al (2016) Making the links between domestic violence and child safeguarding: an evidence-based pilot training for general practice. Health Social Care Community. doi: 10.1111/hsc.12401. Latest research from the nursing and medical journals.